RIP Chris Cornell: An Honorary Greek | Excuse Me, Are You Greek? Today the news came out that musician, Chris Cornell, was found dead. Rather than highlighting his amazing musical career, I wanted to focus on his ties to Greece. Although he wasn’t “Greek” by birth, I’m sure you’ll find him to be an honary Greek after reading this. Chris Cornell married a Greek girl named Vicky Karagiannis. Cornell converted to the Greek Orthodox Church after meeting his wife. Anna Vissi baptized the Cornell’s son. Cornell was an advocate for raising awareness about the Armenian Genocide, which included murders of hundreds of thousands of Greeks as well. 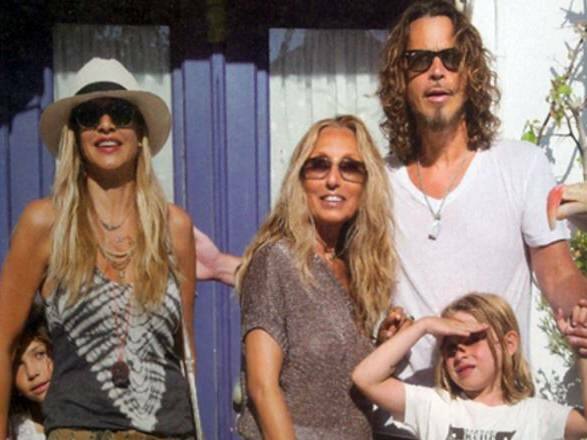 Cornell and his wife created a foundation in 2012, the Chris and Vicky Cornell Foundation, that helps protect vulnerable​ children from all around the world from homelessness, poverty and abuse. Lots of aid is currently sent to Greece with the refugee crisis there. Because of his passion for raising awareness for the Armenian Genocide, Cornell got involved with writing music for the film, The Promise, whose plot revolved around the events of the Armenian Genocide. After the film was released, Cornell and his family visited the Eleonas refugee camp in Greece, together with the International Rescue Committee. Rest in peace, Chris Cornell, an honorary Greek and an amazing musician. Thanks to my friend Christina for recommending I write a post about this. Shut up, you deplorable trash bag of a human being.